This bariatric bed can be used with foam or alternating air mattress system. 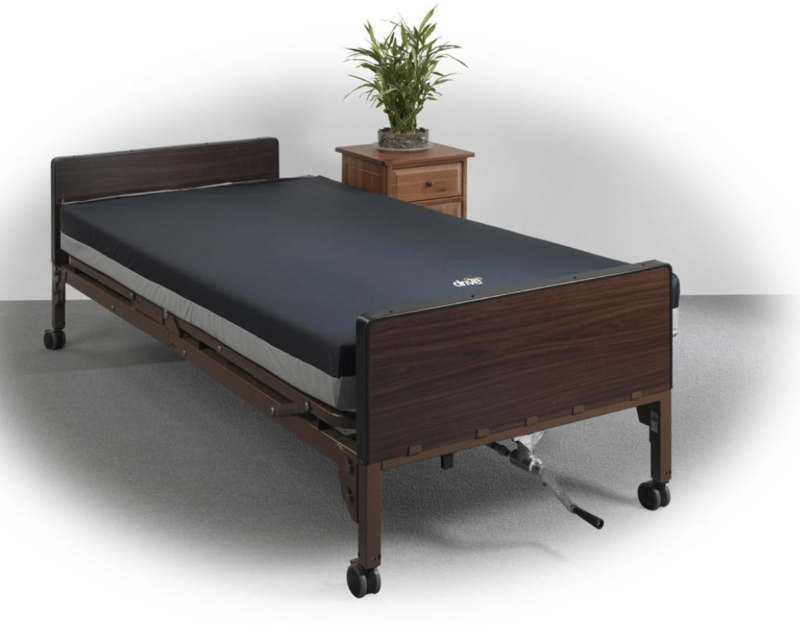 The heavy duty steel frame has a larger sleep surface than a standard hospital bed. The 42" width provides extra room for the patient to move freely. 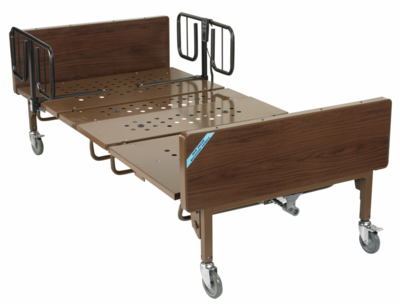 This sturdy bed frame supports up to 600 lbs and provides strength and safety for the patient. The hand held remote allows the patient to raise the height of the frame including the head and foot section of the bed. 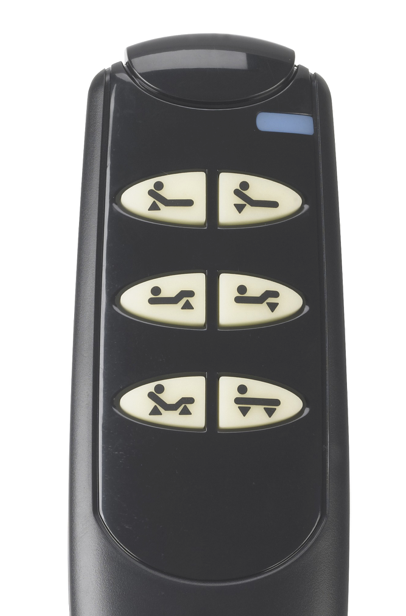 The hand control includes large easy to see buttons and provides multiple bed positioning options for patients. Emergency manual hand crank is included. The motor provides a quiet smooth operation. No tools required to assemble. Optional Side Rails Are Available as an add on Accessory. Unit Dimensions	42" (W) x 88" (L) Sleeping Surface 80"
Specification 4	Weight 231 lbs. Weight Limit	600 lbs Maximum weight limit includes weight of occupant, all accessories such as mattress, side/assist rails, trapeze, any personal affects, etc.